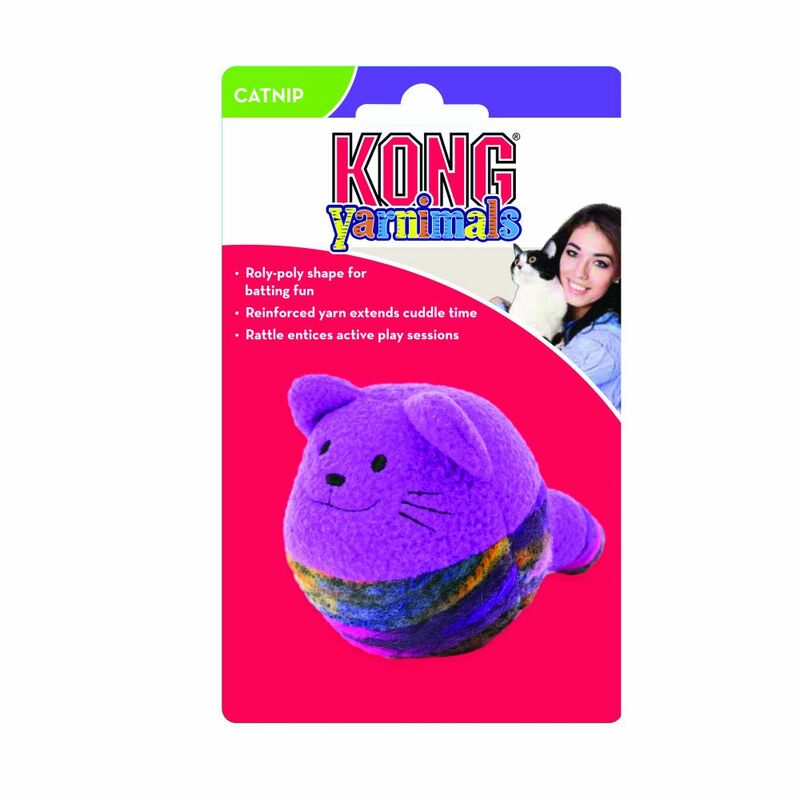 KONG Yarnimals are a roly-poly ball that spin across the ground enticing batting fun. 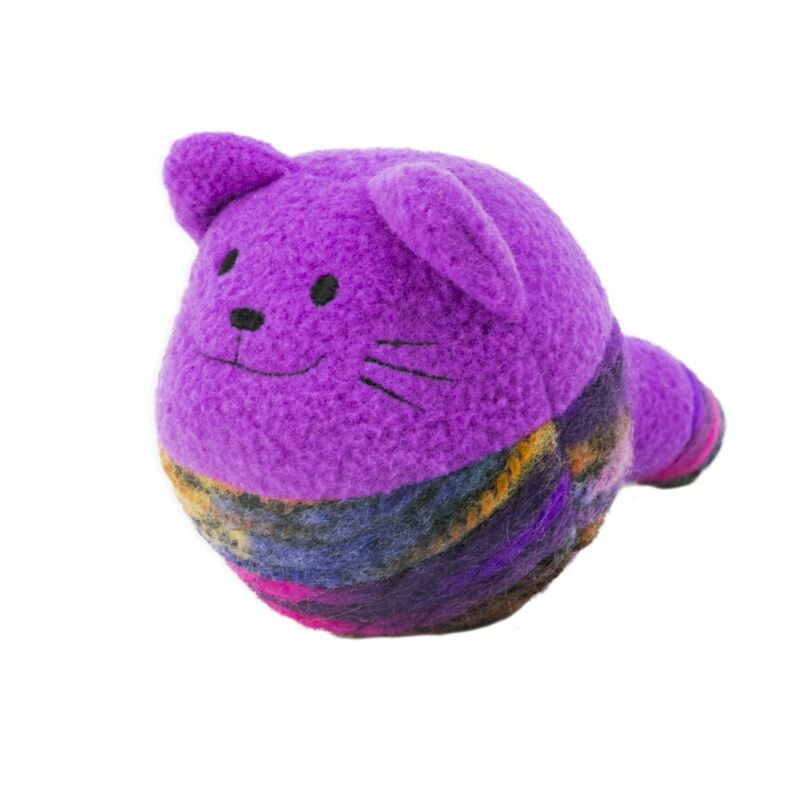 A vivid twist on the classic ball, Yarnimals have a reinforced exterior and a rattle that keeps cats pouncing for longer play sessions. 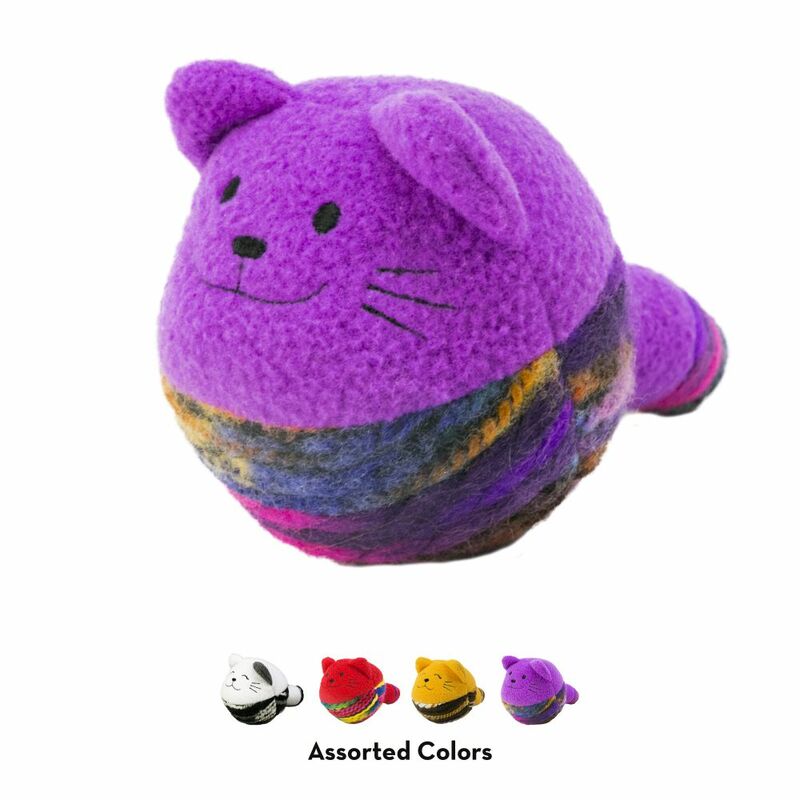 An added dose of KONG North American Premium Catnip extends the fun.